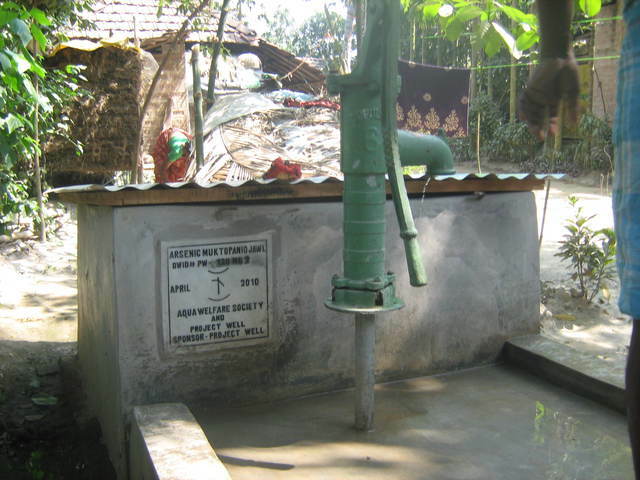 This bore-dugwell # PW120, is in the mogra village of Deganga block of North 24 Parganas district. 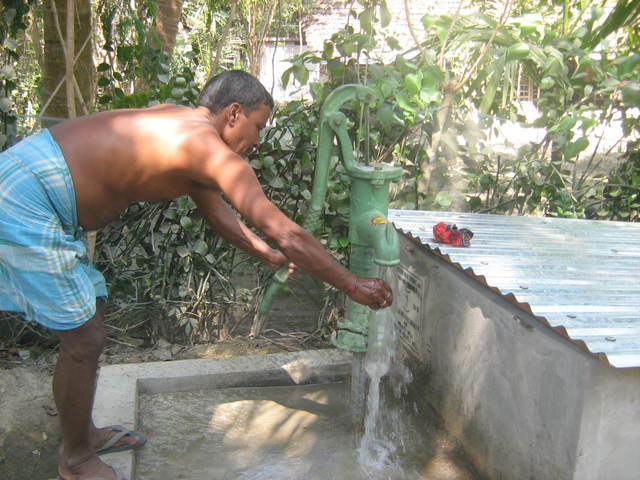 Ram Mondol donated the site for the community. We went to inspect the dugwell no- pw-120. According to register records from July 2011, five families are using this source. Males=12, females=7, children <5=0.